The latest smartwatch from Pebble is currently over on the Kickstarter crowdfunding website in the form of the Pebble Time, and has already generated over $17 million in pledges from over 66,000 backers with still 18 days left to run on its campaign. Building on the technology from the original Pebble smartwatch its creators have now equipped the latest Pebble Time smartwatch with a new colour e-paper screen that is capable of being powered for seven days on a single charge. 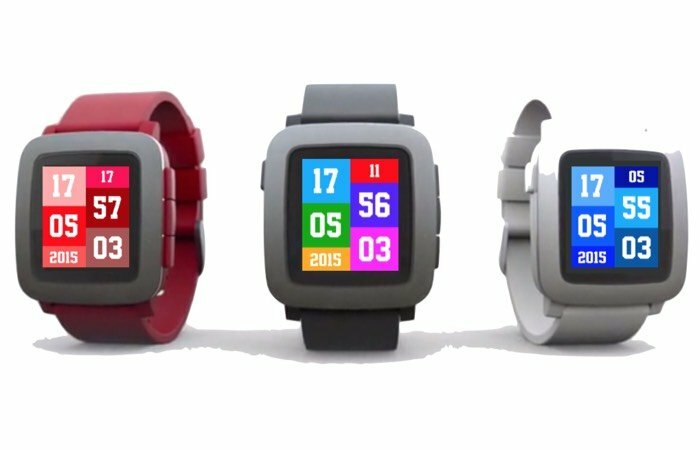 To complement the new Pebble Time smartwatch developer Glenn Sønderskov has created PebbUp. A new application designed for the smartwatch to provide a colourful watch face that can be tailored to your exact requirements and style. He explains a little more about what you can expect from his smartwatch application. “What would a color display be, without anything in color to show? What would your new Pebble Time be, without any colorful watchfaces? It wouldn’t be as great as it could be. But with PebbUp! it will be perfect!! For more information on the new Pebble Time Smartwatch PebbUp app jump over to the Kickstarter website for details and to make a pledge via the link below.